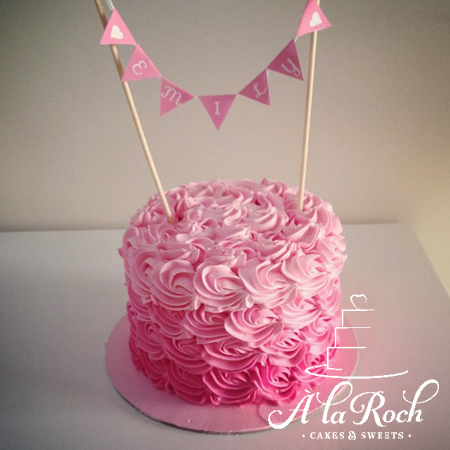 My 6″ ombre rosette cake is frosted with your choice of colour to match your theme. 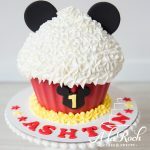 The cake is made of 4 layers of vanilla buttercake cake decorated with vanilla frosting. 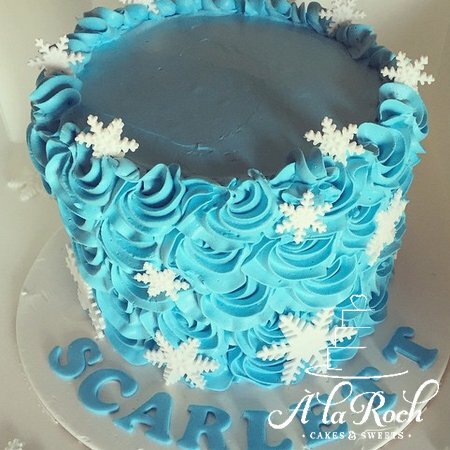 Cake height is between 5-6 inches high. My delicious frosting is fluffy and easy to clean up, making it perfect for smash sessions. 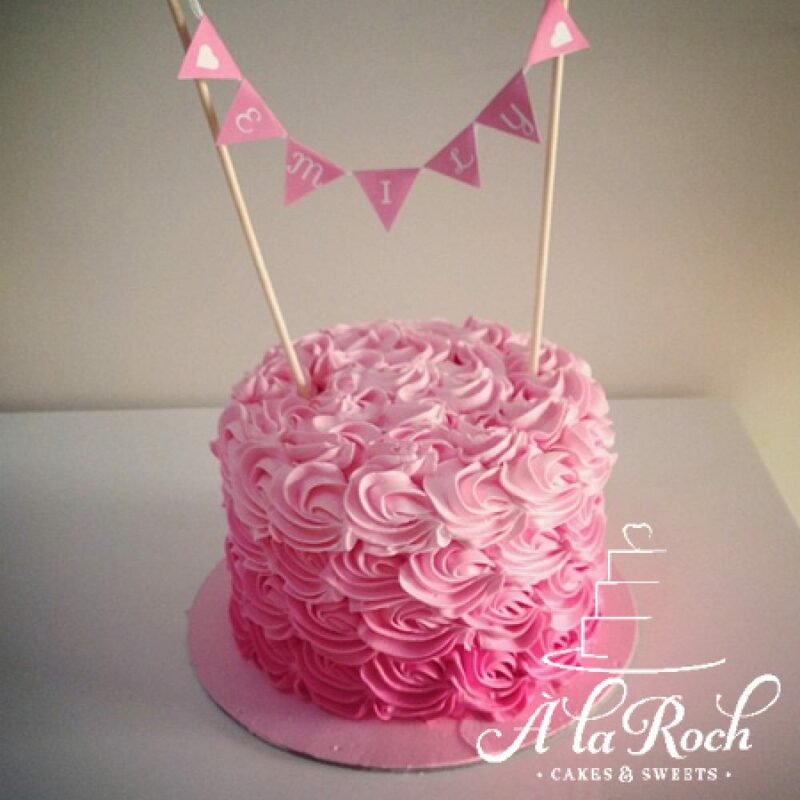 The ombre rosette cake is finished off with paper cake bunting (max 10 characters) to match your theme and can be reused for birthdays.